An exceptionally well made tool from Switzerland. Holds micro-size drill bits #61 (.039 inch) to #80 (.0135 inch). 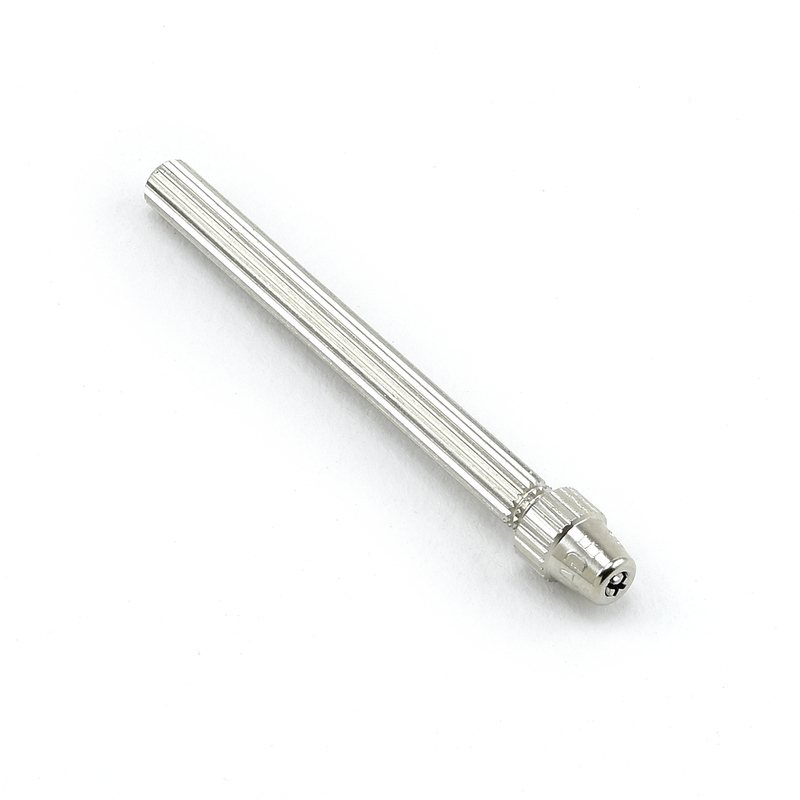 Can be used by hand or locked in a drill press. Made of nickel plated solid brass. 2 inches long overall.